It's so great to work with people who have a sense of humour! Susan is hosting this month's One-Layer Simplicity challenge and you just have to go and read where her inspiration came from. She really made me laugh! Many of you will remember "My Cousin Vinny", a hilarious movie that I am now dying to watch again. Joe Pesci and Marisa Tomei are absolutely excellent in this film! I do not specifically recall the line that Susan refers to, but you can bet that I will notice it the next time I watch! Anyway, the challenge is to use blending in some way on your card. 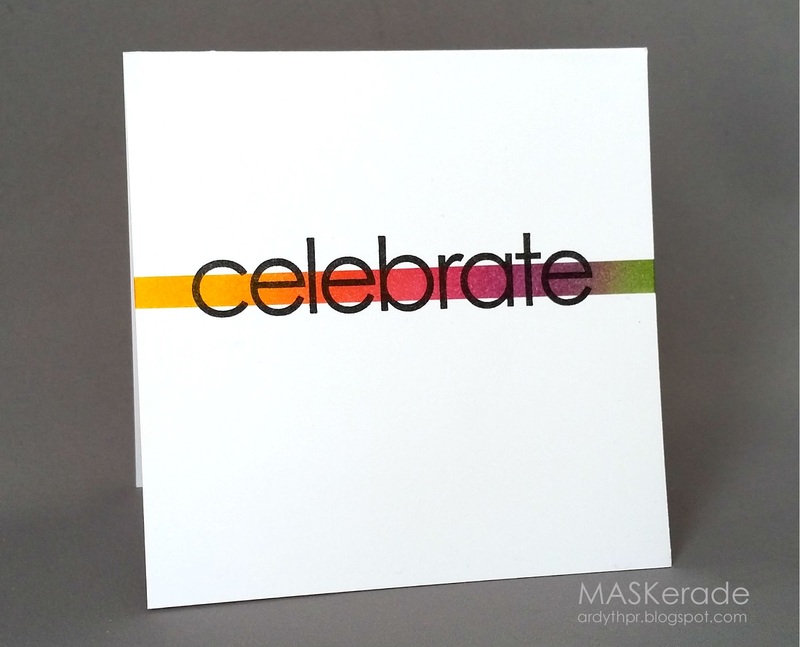 I masked a narrow strip and blended distress inks before adding a very simple sentiment in black. I've taken a quick look at the gallery and there's a lot of really neat ideas for blending - make sure you check them out! I hope you'll get a chance to join us - this challenge runs until February 24. This challenge is right up your alley and your card is perfection Ardyth! That tiny little blended strip has so much umph!! So much impact from one tiny stripe! Love it! This is so striking - CAS perfection! So fabulous! Perfectly lined up! Absolutely gorgeous card...love your single word sentiment too, just so beautiful. Ardyth, this is FABULOUS!!!!! I totally love every little thing about it and will be stealing this idea for myself. It's a perfect design...PERFECT!